Residents of Waxahachie who are considering ways to protect their home or business should consult with our team at Aeon Systems. 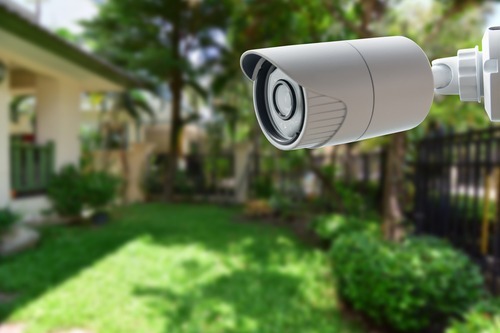 From alarms to a perimeter-wide security system, we have it all. The following is just a sample of our security services. Single-story homes as well as businesses with a lift-out ceiling can benefit from our security surveillance cameras. Our basic package comes with a 4-channel HD DVR, four 2 Megapixel IR dome cameras (complete with night vision), and the hard drive, power supply, and other necessaries. This can be complemented with a hold-up system. You'll have panic buttons installed, which you can secretly press when a robber holds up your place. To fully automate your home so that it's a smart home, you can't go wrong with our interactive security solutions. Using a remote device, you can control security levels and lock and unlock areas of your home at will. We can also set you up with a card access control system. We carry plenty of alarms for detecting smoke and burglars. Our products come from renowned brands like Bosch Security Systems, and our team can install whichever option you need for your home or business. You'll be instructed on how each product operates from our installers. You can also install a fire alarm system that will provide a prompt emergency response. Our alarm system will monitor doors, windows, and other areas, providing comprehensive residential and commercial security. Since we have 24/7 alarm monitoring, our center will pick up any signs that your system has been set off. Established in 2004, Aeon Systems is an expert in commercial and residential security, and we have more than 35 years of experience in this field. Call us, and we'll head out to your location in Waxahachie, TX to measure the extent of your security needs. Knowledgable reps and excellent service to date.